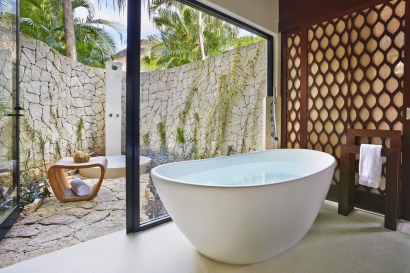 Prior to Viceroy Riviera Maya, Mr. Pedro Lara served in executive positions with some of the world’s most prestigious resorts including Rosewood Little Dix Bay, Jumby Bay, and Las Ventanas al Paraiso. His more than two decades of luxury hospitality management experience includes stints with The Dharmawangsa Indonesia, Hyatt Cancun Caribe, and Grand Hyatt Los Cabos. The property was acquired in 2006, formerly the Ikal del Mar. 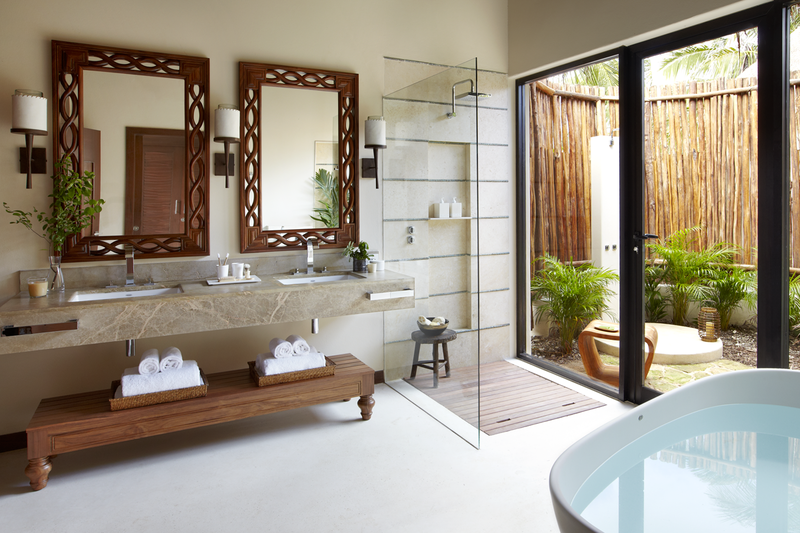 In 2007, the resort opened as Tides Riviera Maya and later in 2011 it was renamed Viceroy Riviera Maya. Details will be announced at a later time. Guests arrive to a “Mayan Blessing” performed by the Mayan shaman on staff, and are personally escorted to their villa. 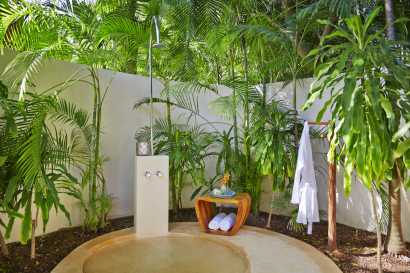 Then the Soap Concierge arrives to provide this signature personalized amenity of Artisanal Mayan Soaps in different scents and types. When guests make their selections, the Soap Concierge slices your personalized bars from large blocks of soap. 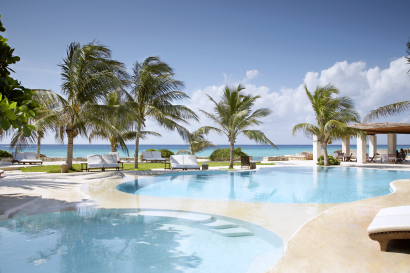 The six-acre resort is on the Caribbean coast of Mexico’s Yucatan Peninsula, conveniently located just 35 minutes from Cancun International Airport, and three miles north of popular Playa del Carmen known for its beach scene, restaurants, boutiques and nightlife. 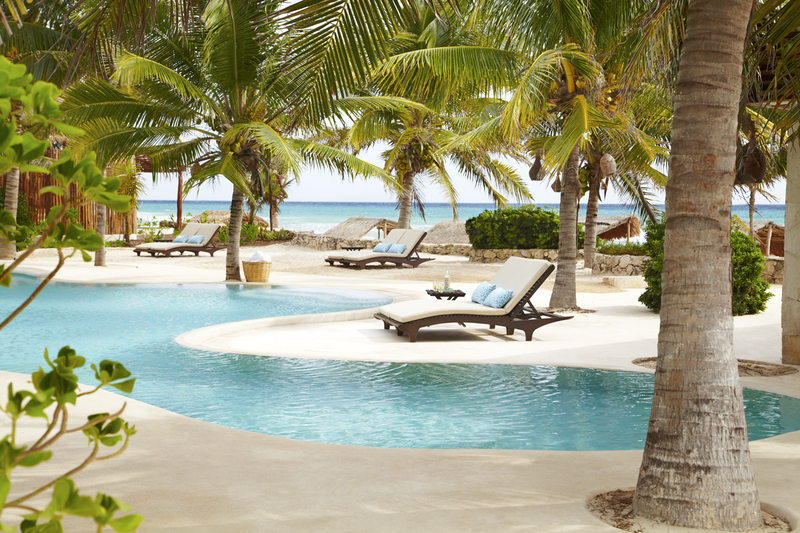 The resort is set along seven miles of beautiful white-sand beachfront ideal for sunbathing and snorkeling. On the pier, guests not only sunbathe, have massages and savor romantic dinners, but are picked up for snorkeling, diving as well as yoga classes and other excursions. Guests may enjoy golf, horseback riding, polo lessons, fishing, parasailing, kite surfing, skydiving, bird watching, nature walks, tennis and jungle tours. Among the ancient Mayan ruins and landmarks that may be explored are: Natural parks, diving in the world’s second largest coral reef or snorkeling in cenotes, Tulum, Coba, Chichen-Itza and Akumal. The spectacular Viceroy Riviera Maya is immersed in a lush jungle ambiance dense with ferns, palms and guava trees that is the playground of a number of different species including a resident family of friendly spider monkeys. Viceroy Riviera Maya is an adults-only resort and welcomes guests ages 14 and older. All 41 private villas feature a private patio and plunge pool, outdoor shower, high-ceiling thatched-palapa roof echoing the jungle environment,500-thread-count Egyptian cotton sheets, plush down pillows, and a terrace replete with chaise lounges, dining table and a handmade crochet hammock. 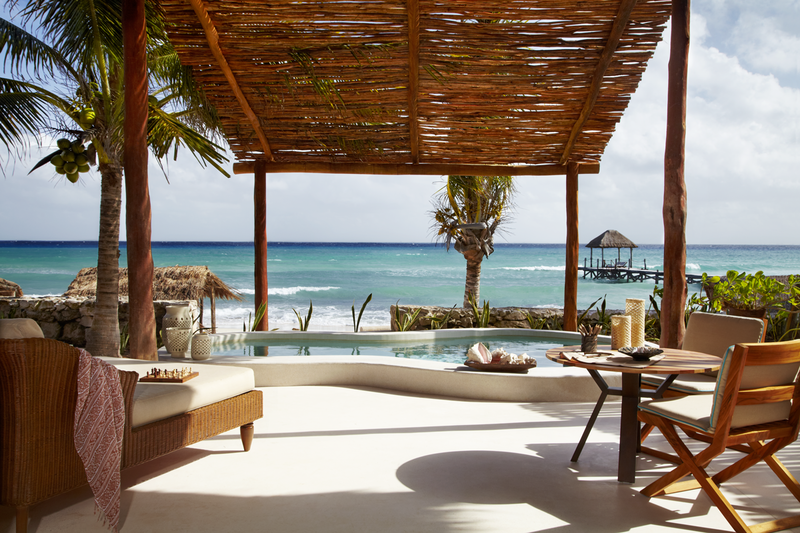 • La Marea: The restaurant features a contemporary interpretation of Mexican cuisine with Mediterranean influences. 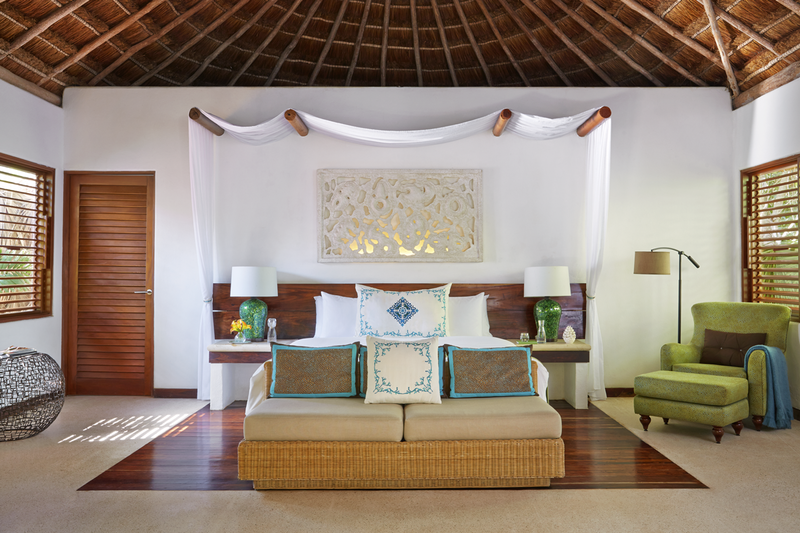 Guests dine on a romantic loft with views of the aquamarine Caribbean in a casual, open-air tropical ambiance. • Coral Grill: Set by the sand with magnificent vistas of the Caribbean, the newly added Coral Grill features a Mexican-Mediterranean menu cooked on wood-burning grills. 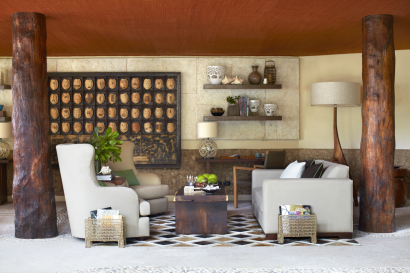 • Library Lounge: Evoking the residential feel of a luxurious living room, the Library Lounge offers comfortable and intimate seating areas where guests enjoy favorite beverages and snacks. • “Dine Anytime, Anywhere” Policy: With advance notice, guests enjoy the flexibility of being able to dine whenever and wherever they like, whether on their patio, on the beach or by the pool. Viceroy Riviera Maya offers EP rates, all-inclusive rates, and meal plan options available in all room categories. The resort’s signature spa taps the healing techniques and traditions of the ancient Mayans. 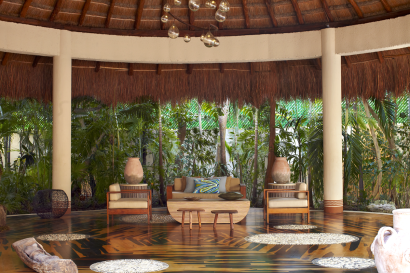 Nestled in a lush tropical landscape, the spa’s circular structure echoes the holistic philosophy of the Mayans that guides the spa experience. 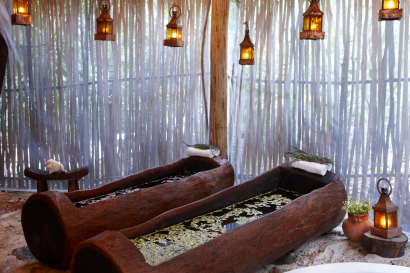 Guests experience treatments in an array of venues such as an Herbal Steam Room, Jungle Spa Suite for Two, Xaman Ek Fertility Spa Suite and traditional Mayan Temazcal sweat lodge. Treatments also may be enjoyed on the beach, in the privacy of your villa and on the resort’s pier. 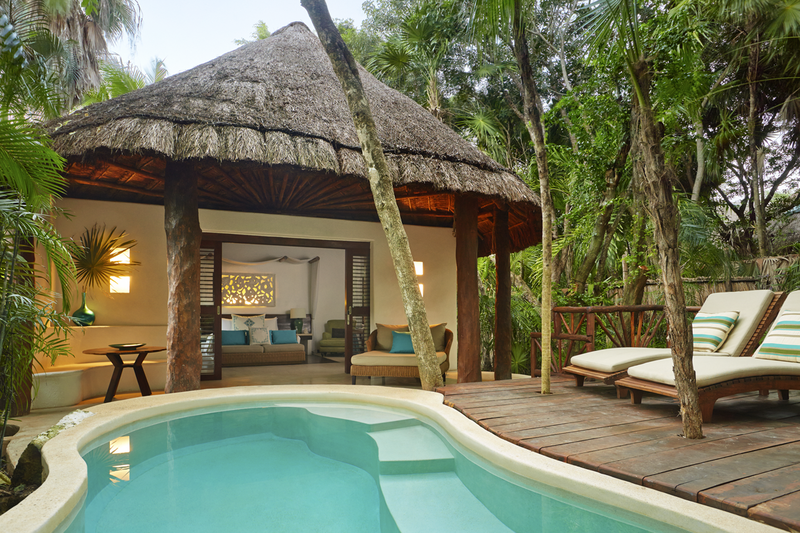 In addition to the private plunge pool at each villa, there is a Lagoon Pool with sundeck and food and beverage service. Guests exercise on the latest workout equipment at the Fitness Center while enjoying ocean views. A variety of classes are offered, as well, from yoga and pilates to strength training. 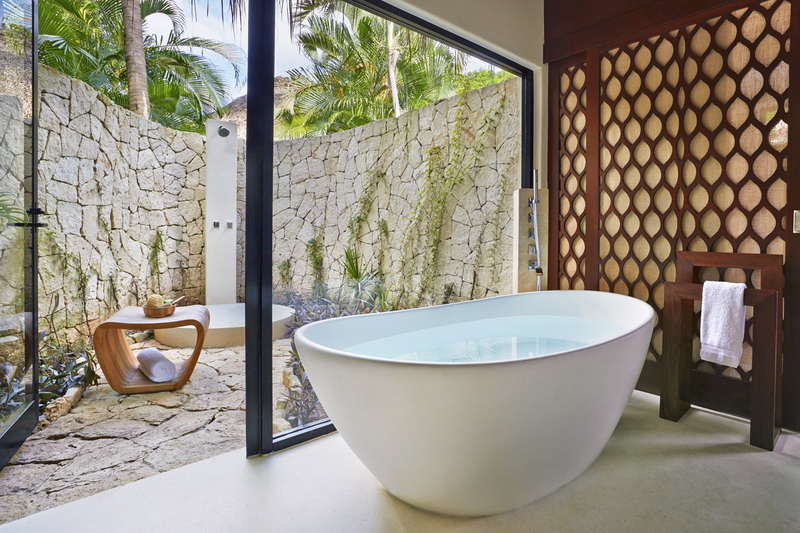 Viceroy Riviera Maya is the ultimate setting for once-in-a-lifetime Mexico events and spanish gatherings of the whole family or close friends. Away from daily pressures and scenery, let Viceroy Riviera Maya’s dedicated staff make celebrations and commemorations of special relationships and events all the more meaningful. 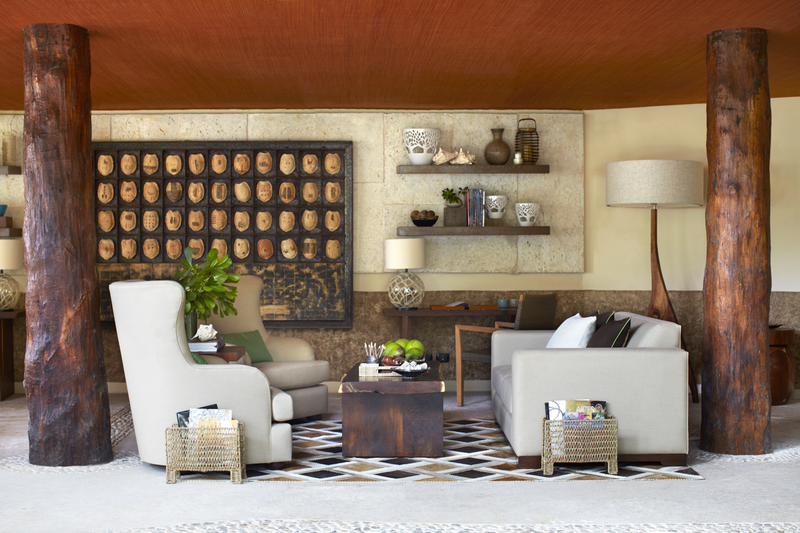 Curated by a Tequila Maestro, indulge in an afternoon of savory ceviche and tequila tastings. With a generous serving of a regional tequila, paired with a fresh selection of ceviche tapas, guests will savor every bite while enjoying intriguing conversation surrounding the history behind aged old tequila. 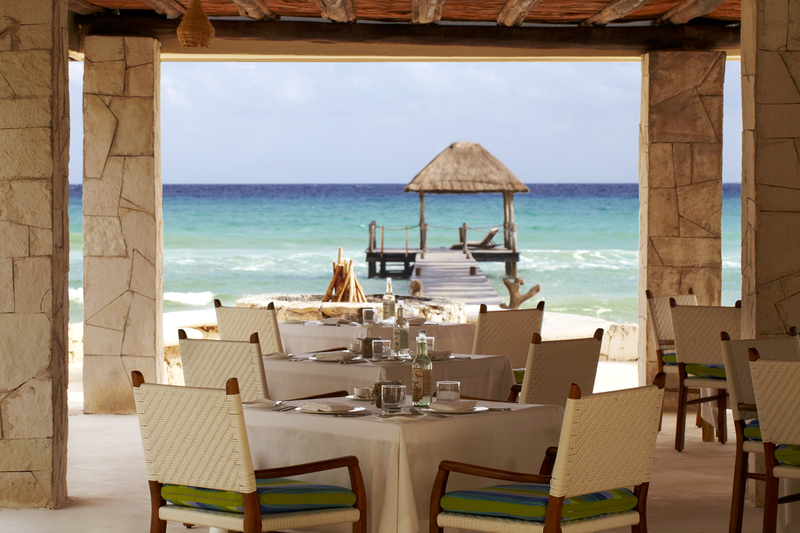 Our Tequila and Ceviche Tasting is available every Wednesday afternoon in our Coral Bar.